Boot Camp at Bryant Park FitClub has been a huge success by all counts. Sweat? Check. High fives? Double check. Burpees? All the checks! So what happens at Boot Camp? It’s 30 minutes of fat-burning, core-building chaos. It’s hilarious exercise mayhem. You’re up. You’re down. Burpees. Pushups. Squats. Sprints. Situps. More burpees! There’s no telling what exercise will come next. It’s nothing if not comical. And fortunately, laughter makes everything easier. We usually throw in some tabata-style intervals and an endurance challenge (e.g. 100 slow-count squats all together). We have a big bag of tennis balls with exercises written on them. The energy is crazy! But the real highlight is when Sgt. Burdman — donning the shortest of shorts — makes an appearance and smokes us with a PT session that will push you to your limits. He dares you to laugh — it’ll cost you pushups. 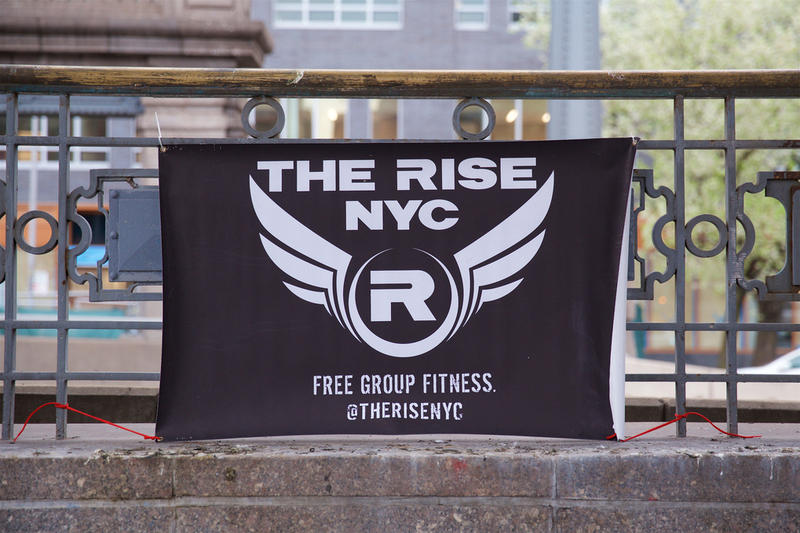 Get a glimpse of what Wednesday morning Boot Camp at Bryant Park FitClub looks like. Or show up and taste it for yourself!